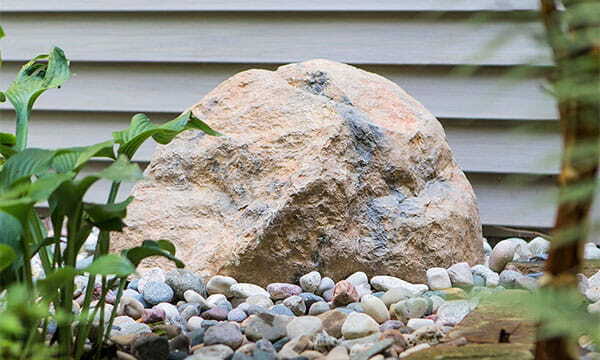 Low-lying landscape problems are no match to this Outdoor Essentials® Medium Skimmer rock. It is low to the ground, long, and can cover manhole covers, exposed wires, septic lids and other things of comparable size. Each of these rocks is individually painted with a UV-resistant finish for long lasting performance. You won’t have to worry about staking it to the ground, as it is curvilinear in shape and will stay put in wind and other adverse weather. Even though this rock is fake, it looks real and is super lightweight; only weighs 6.5 pounds! That means you can install it, wherever and whenever you want. You have the power. Go rock your yard!